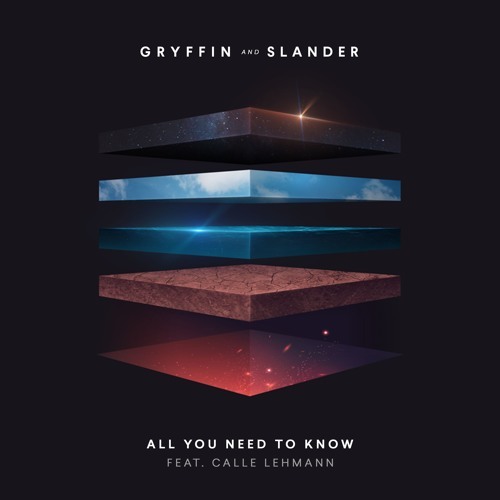 Los Angeles-based artist and producer Gryffin has teamed up with notorious production duo SLANDER to deliver an awesome new single called All You Need to Know, out now via Darkroom/Geffen Records. I am LOVING the infectious energy of this song which sounds perfect for the Festival season to come. Swedis singer-songwriter Calle Lehmann's powerful vocals soar effortlessly over the electronic production that is packed with warm textures, awesome synth lines and percussion. That beat is absolutely infectious and I can't stop playing this gem! All You Need To Know perfectly combines SLANDER's artful basslines and immaculate sound design with Gryffin's melodic genius. Calle's lovely vocals infuse the track with so much emotion and enhance its euphoric atmosphere that will sure make this gem a summer anthem. Check it out below! All You Need to Know is taken from Gryffin's forthcoming debut album Gravity, due out this summer via Darkroom/Geffen Records.